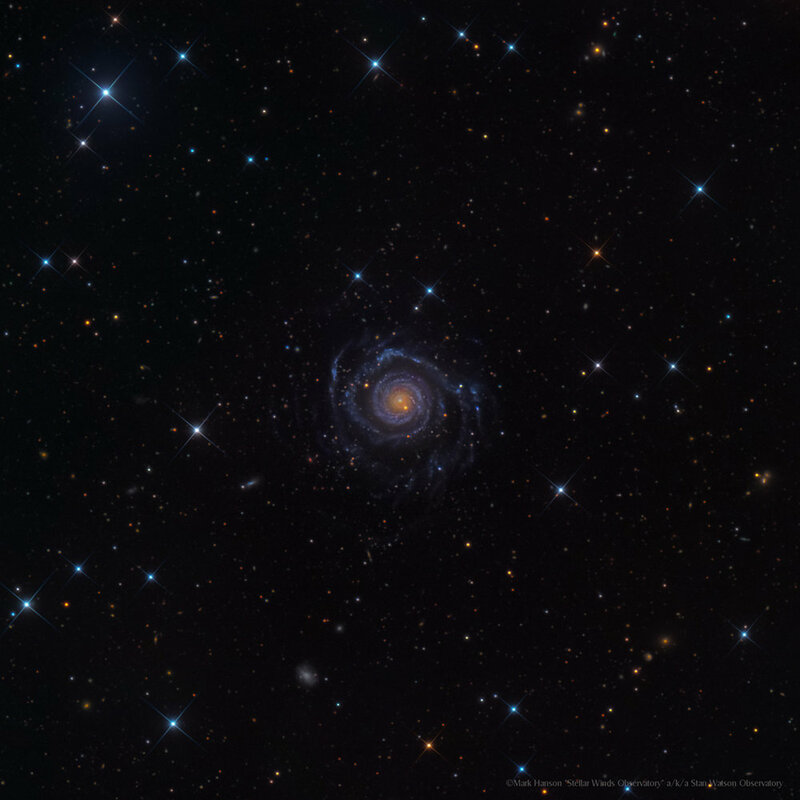 NGC 3642 is a spiral galaxy in constellation Ursa Major. The galaxy has a low-ionization nuclear emission-line region. It is located at a distance of circa 30 million light years from Earth, which, given its apparent dimensions, means that NGC 3642 is about 50,000 light years across. The galaxy is characterised by an outer pseudoring, which was probably formed after the accretion of gas rich dwarf galaxy. Around the nucleus, an one-armed spiral forms a ring, and it is possible that it leads material towards the nucleus. The nucleus surrounded by an inner flocculent spiral. The outer part of the spiral forms a pseudoring that extents for about half a circle. The outer part of the spiral is warped, while its main part features an ordinary differentially rotating disk. The HI gas is also warped and extents more in the western side.